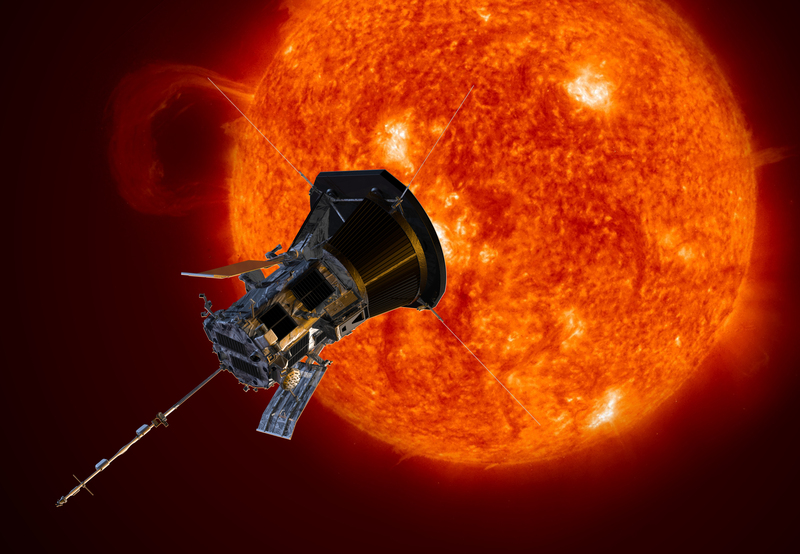 NASA and launch provider United Launch Alliance are preparing to launch the Parker Solar Probe, now set for early the morning of Monday, August 5 with the first data sets expected later this year. This is a mission to watch for. Parker Solar Probe will swoop to within 4 million miles of the sun’s surface, that may sound like its still a long way away but think of it this way. Think of a football field, if the Sun were on one goal line and the Earth was on the other. The Helios-B solar probe got within about the 29 yd line. The Parker Solar probe will fly to the 4-yard line, studying the sun’s corona by flying through it. That’s a pretty inhospitable place but while the heat shield reaches 2500 degrees Fahrenheit. the instruments behind it remain near room temperature. Researchers hope to find answers to a couple of solar mysteries like Why does temperature rise as you move away from the Sun’s surface? And why does solar wind continually accelerate? Standing less than 10 feet tall and weighing in at 1500 lbs at launch time, this is a relatively small spacecraft. But it will launch on a Delta-IV Heavy which is normally used for payloads with nearly 30 times more mass. So why use a heavy-lift rocket? ?The Delta IV heavy provides the high characteristic energy or C3 needed to reach and safely orbit the Sun. That energy along with a little more provided by several gravity assists from Venus enable close approach of the Sun without being eaten by it. 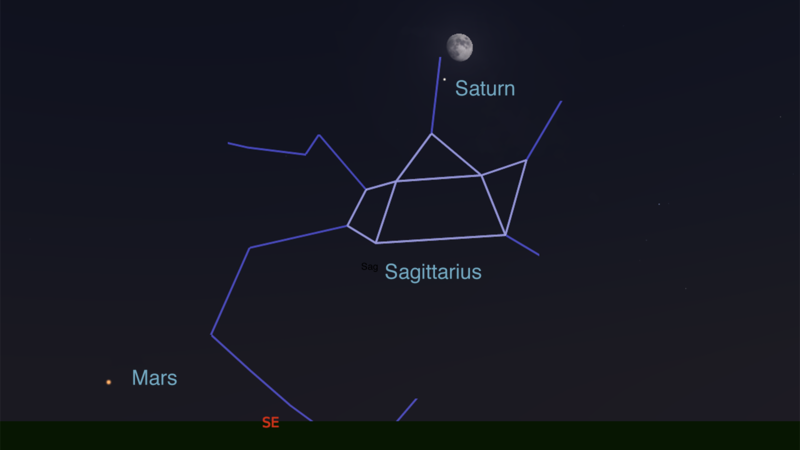 Elsewhere in the sky, Saturn will be easy to spot on Tue July 24. Use the waning gibbous moon as your guide. 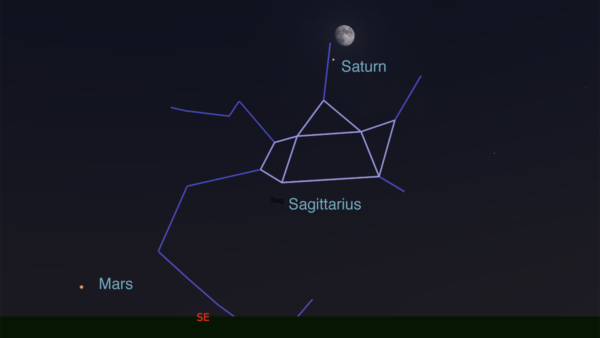 Saturn will be just 2 degrees down and to the left.